Ch-ch-changes: Where Have I Been, Where Am I Now, and Where Do I Go from Here? I haven’t posted a blog in almost four months, a new record for me since I first started blogging, at the outset of my first English Teaching Assistant (ETA)ship in Malang, Indonesia. If you had told me then that two years later I would find myself returning to Indonesia for a third year, this time to live in the sprawling capital city and to work in an office, I would have laughed. A small town farm girl turned English teacher leaving the classroom to become an office girl in the big city? No. Way. And yet, here I am. I’m two months in to my new position, and I am still regularly in awe (the only word I can think of that adequately combines the feelings of uncontrolled excitement and debilitating terror that I wake up to each morning) that this is where I have ended up, in a place and a position so different from any I might have imagined myself in. The very beginnings of sunset, as seen from our apartment balcony. I wake up every day in an apartment that is part of a mega-complex (think three separate towers of apartments, each more than 40 stories: by far the biggest building I’ve ever been in, much less lived in). The view from my window is an endless sea of rooftops, with tenacious spots of green pushing up through the tile and concrete, because in a Southeast Asian city mankind cannot win against nature: in this climate she can find a way to flourish anywhere. Currents of cars and motorbikes and angkots and bajai pass by full of folks from all walks of life pushing towards work and fun and life in this flood of grey and green and glass and humanity that calls itself Jakarta. Some mornings I wake up intimidated to join their numbers, navigating broken roads and potholes, as well as pristine brick sidewalks (both of which confuse me in their own fashion), on my pleasant 25-minute walk to work. Other mornings I wake up inspired by the sheer number of stories I have the privilege to bear witness to, from 17 floors up, and I can’t wait to dive into the depths of it all. A hazy sunset from the office. My days are spent sitting in one of those wonderfully distracting spinning office chairs, in my own cubical. I have a desk job. I have an access key card that gets me into a building with security. My sixteen-year-old self would be disgusted and also so very pleased with twenty-four-year-old me. I am not back in Indonesia as an ETA this year. I’m now the Researcher/Coordinator (RC) for AMINEF. I coordinate training and support for the current cohort of ETAs, with the invaluable help of the AMINEF American Programs Team and the Senior ETAs (SETAs) who have returned for a second year as ETAs in Indonesia, as I did last year. I also conduct research on the ETA Program in Indonesia, with the aim to provide a concrete set of recommendations to help improve our program and other programs like it. I don’t teach. I am not in a small Indonesian city. I coordinate. I research. At a desk. In a mega-city. This is my new normal. It certainly doesn’t feel normal just yet, and a lot of that has to do with the initial responsibilities of my new position. My RC-ship began with a visit to the Korean Fulbright Commission with Ceacealia, to observe part of their orientation and learn from their overall programming. Six days after arriving in Jakarta (the trip to Korea took place on my way back to Indonesia), I was off to visit new ETA sites. Over the course of two and a half weeks I visited Kendari in Sulawesi; Balige in Sumatra; Labuan Bajo in Flories; and Surabaya, Sidoarjo, and Kudus in Java. I’m not sure when the fates decided that I would be granted a position that let me travel for my job, but I am incredibly thankful for the opportunity. Then it was time to finish planning the ETA orientation in Bandung—a process began over the summer, but which wasn’t able to be truly finished until I was in Jakarta—and before I knew it the new ETAs had arrived and we were in the middle of orientation. And just as quickly, orientation was over, the ETAs all headed off to their new homes, and I was back in Jakarta, this time more permanently. My new normal, consequently, has really only been normal for about two weeks, and so is still a very new normal indeed. The sitcom of our household, airing on Instagram at all possible hours. I’ve been lucky in that, though living in Jakarta is a completely new experience for me, there are pieces of familiarity already here. I’ve gotten to know several members of the AMINEF Team really well over the past few years, and working with them has been a fun and amusing ride (I should dedicate an entire post to our office shenanigans at some point). I have several friends from my previous homes in Indonesia who have made the move to Jakarta, and being able to reconnect with them has been wonderful. 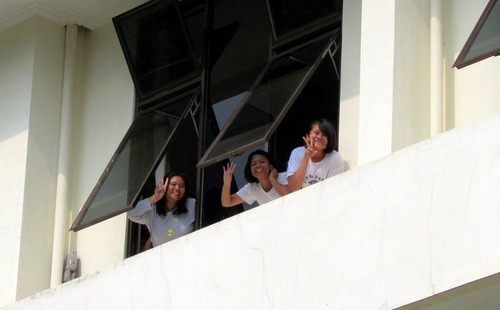 I even live with two of my closest friends from Malang: Sam and Novriska (affectionately known as Vriz). Having these two along for the journey has made adjusting to Jakarta life so much easier than if I was trying to do so on my own, and also means my life resembles a sitcom at times, which I love. There are plenty of new places to explore and people to meet in Jakarta, and now that I am finally here more permanently, I can’t wait to start doing so. After so much movement the past two months, I have spent much of the past two weeks giving my body the rest it needs, but it won’t be long before I am impatient for new adventures. Jakarta is an insane and amazing place. Who knows where I’ll end up? I do intend to write about all of these adventures in more detail, and I will link to those blog posts once they are up. When I asked her what she wanted to be called in my blog, Vriz said, “My name is Novriska Adini. You can call me Novriska, Novris, or Vriz. Your choice!” This gives you a pretty good idea as to how cute of a housemate she is, and Sam certainly gives her a run for her money. Last year, the first trip I took off of Java was to Gorontalo, in the Northern part of Sulawesi. 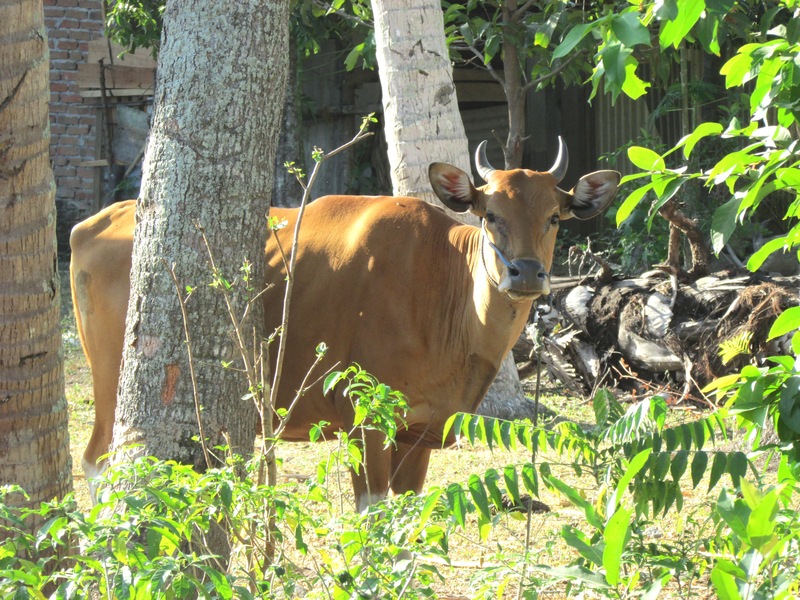 I fell in love with its overabundance of cows and rice paddies and tuna sate, and hoped that eventually I might be able to visit again. This year, through a series of mysterious and frustrating but ultimately lucky happenings, Gorontalo is my new home, and I am rapidly falling in love with it all over again. I’ve only spent one week in Gorontalo thus far, but it was been a wonderful one. Because I do not yet have my Kitas, there is very little I am allowed to do in the classroom, but I have tried to spend my time getting to know the area I live in to the best of my ability. I am working on getting to know my neighbors (from the older Ibu who is always working in the garden behind my house to the tiny children who race me on their bicycles), and completing the challenge set by one of the AMINEF staff to count all of the cows in my area (answer: too many to count). 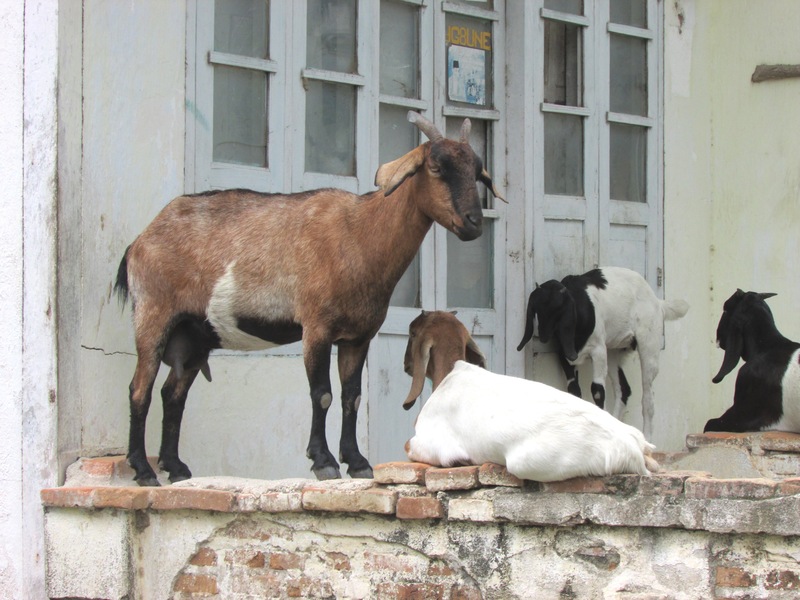 I live in a small neighborhood on the edge of the city of Gorontalo. I have not ventured into downtown Gorontalo yet, because it is a bit too far away to travel by bentor (similar to a becak, or rickshaw, but replace the bicycle with a motorcycle), which is the main public transportation in Gorontalo, but I have made it a point to go for a walk every afternoon (soon I will acquire a bicycle and then this will become my afternoon bike ride), a few hours before sundown when the heat is only mildly insane, rather than I-am-going-to-be-a-burnt-slice-of-human-in-about-two-seconds insane. By doing so, I have been able to explore my more immediate area and all it has to offer. Essentially, if I walk in one direction down my street, I get closer and closer to the part of Kota Gorontalo that actually resembles a kota (city). There are an abundance of toko (shops) and warungs (food stalls) in this direction, as well as a space for a pasar (market), which happens every Wednesday and Saturday. All of this is rapidly going to become essential to my everyday life here. But if I go in the other direction, the city ends and the sawa (rice paddies) begin, and is this direction I already find myself wandering in most often. My site mate from last year always said that rice paddy green should be a Crayola crayon color, and I couldn’t agree more; there is a lively, young sort of alive that is somehow perfectly embodied in the green of blades of rice submersed happily in water, lined up in perfectly strait rows but somehow never stiff. The paddies near my house stretch off into the distance, dotted with palm trees and rustling peacefully in the breeze. 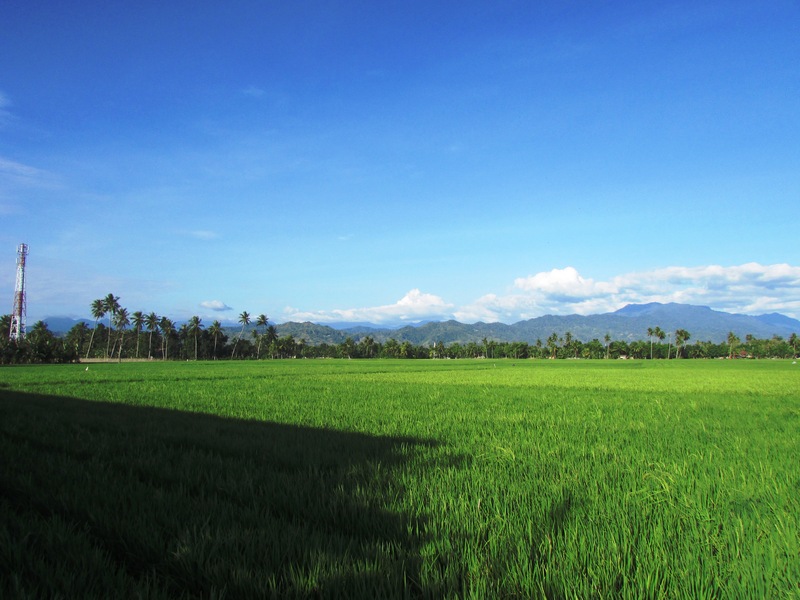 In the distance are the gentle curves of the mountains that surround the valley within which Gorontalo is located, like a reassuring arm wrapped around the city’s shoulder. I’ve seen the same vista every day for a week, and it still overwhelms me with its beauty every time. I can’t begin to express how lucky I feel in my placement. Indonesia is full of beautiful and wonderful places, but there is something about Gorontalo that just feels an extra level of special, and I cannot wait to explore exactly what makes it so. I’m sure the next nine months will be filled with challenges, and I know I will have days when I am frustrated and wish I could return to the States, but overall, it already feels as though this farm-girl English Teacher will be very happy in Gorontalo. One of my neighbors, who is also an English teacher at my school, asked me the night before I left for orientation in Bandung if I was “betah,” in Gorontalo. Betah means “to feel at home,” and I have to say that even after only a week, I am indeed betah in Gorontalo. 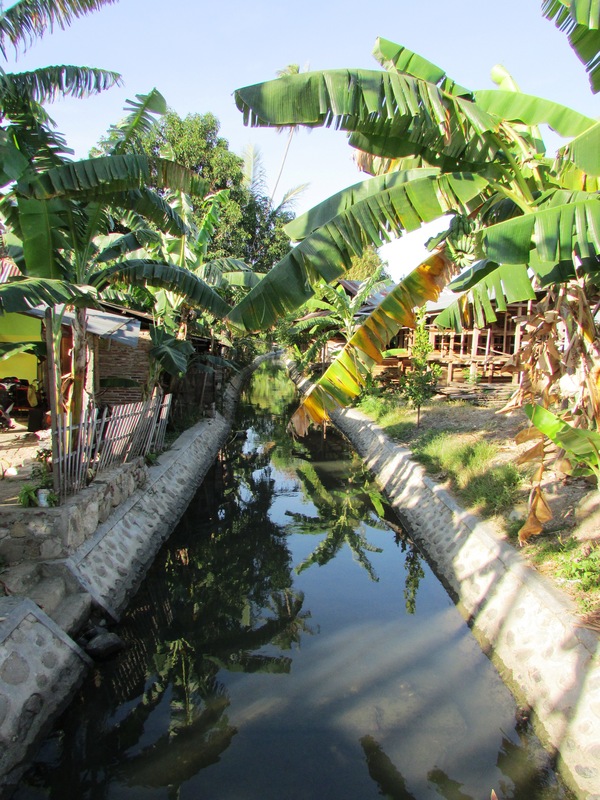 Originally, I was to be placed in Bima, in Sumbawa, but the site ended up not being approved by one of the Ministries of the Indonesian Government, and the fabulous people of AMINEF, the organization who runs the Fulbright ETA program in Indonesia, found me a new school in Gorontalo. Welcome to SMAN 10 Malang! I have now been at my site for a little over a week, though time has flown and it feels only like a few days. I have bounced from office to office with one of my co-teachers, the superhuman Bu Tri, in order to complete the paperwork which will allow me to work in the classrooms legally, and been introduced to more people then I can possibly keep track of. I have not yet begun actually assisting in the classroom yet: the students are taking tests and preparing for their midterm exams next week, and I have been told I will be able to start in the classrooms once those are over. Having studied education as an undergrad and volunteered in youth programs for years, I am of course impatient to be in the classroom working with young people again, but I have been trying to make the most of the time I have now to familiarize myself with the English curriculum, and, of course, the school itself. 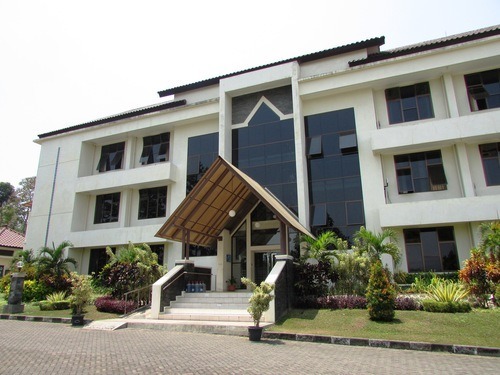 SMAN 10, the school at which I will be working for the next eight months, has two campuses. The ETA who was here last year only worked with campus two, but I have been told that I will work with tenth and eleventh graders at both campuses. 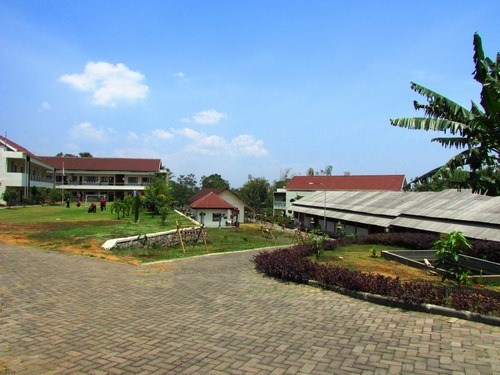 Campus one is within the city of Malang itself, and closely resembles what American’s might consider a traditional public school. Any student can attend, and the student populous seems to have been determined largely by geographic location in relation to the school. The classes at kampus satu are quite large: I have not observed a class there with fewer than thirty-four students, which is far larger than any class I have taught for any extended period of time. As someone who prides herself in being able to learn student names quickly and swoop into a classroom in the second week having already built some solid relationships, the sheer number of students in my classes are going to be challenging, but the students seem really lovely and I am sure this will help me get to know them fairly soon. 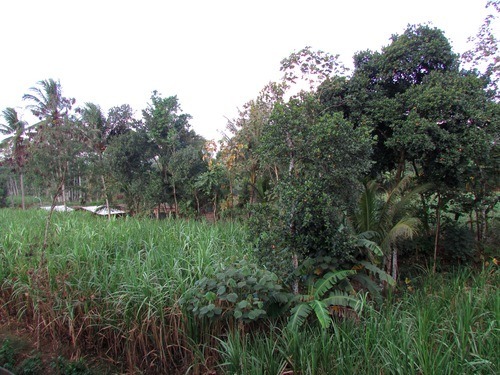 Campus two is located outside of the city’s limits, surrounded predominately by rice, corn, and sugar cane fields. This campus is more selective, and students must pass an exam in order to attend. 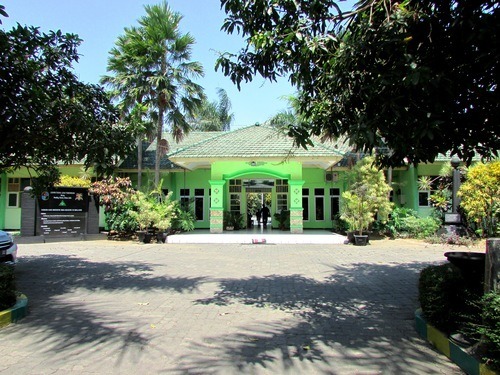 Students who attend this campus are not limited to Malang, but come from all over Indonesia. I have personally met students from Central and West Java, Bali, and even as far as Papua, and I know there are students from other parts of this vast archipelago as well. A program through the Pertamina Foundation, run by one of the largest oil and natural gas companies in Indonesia, provides a scholarship to students from Papua to attend SMAN 10; from talking with students and teachers, there does not seem to be any scholarships in place for students from rest of Indonesia, and so the families of those from other parts of the country must be able to afford to send them here. In general, classes here are smaller, with the largest class I will work with having around twenty-five students. Kampus dua is unlike any school I have ever worked with, and I am looking forward to taking a closer look at its inner workings. 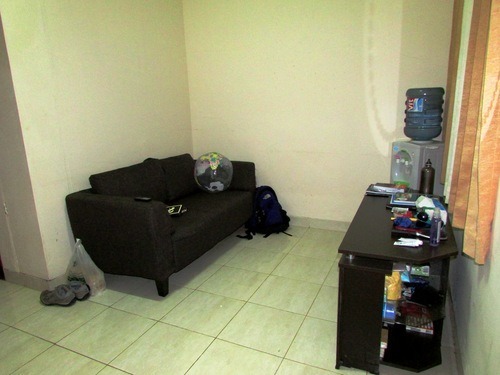 In part because many of them come from outside of Malang, and in part because the school wants to create a more encompassing and enriching academic experience for students, most of the students who attend classes on campus two live in one of the two dorms on campus. I too, will live in beautiful Building A while I am here. I have been placed in a small apartment of my own within the dorm, complete with a small living room, efficiency kitchen, my own bathroom, and a bedroom complete with air conditioning. Being able to take my belongings out of my suitcase and put them in an actual living space after two weeks of hotels and airports was immeasurably wonderful. I hung my clothes in the closet, blew up my inflatable globe, and decided it was good enough to call home. My apartment also has a balcony, which offers a beautiful view of the farmland just beyond the walls of the school; every morning, I start my day with a cup of tea here, and I have therefore been privileged to watch the sugar cane harvest, happening right before my eyes. It is new and exciting, as I have never seen a sugar cane field before, but also reassuring and familiar, as I know it is time for the corn harvest to begin at home. The best part of my placement, thus far, has been the people. The teachers at my school have been more than welcoming, and are constantly ensuring that I do not feel lost or lonely: even those who do not speak English do their best to work with my limited Indonesian and get to know me. They have laughed at my missteps, called my brown hair red (the Irish girl in me is secretly pleased), and fed me more food than I could stomach: Indonesian hospitality knows no limits. The students, especially, have ensured that I could never feel homesick here. At campus one, though I am not yet in the classroom, I try to spend time with the students during their free periods, talking about traveling and culture and the grand nature of what it means to merely be people. This probably stems in part from Mau ke mana? (Where do you want to go? ), the Indonesian equivalent of “How’s it going?” And while I sometimes have a destination required of me, I am never happier than when I can answer their question with “Jalan-jalan” (Just out for a walk), and then ask them where they are going, and if I might be able to join. The next eight months are going to be filled with more challenges than I can now fathom, but already I can see that, here, in this place half a world away from everything I know, I will be able to find friends, and maybe even a kind of family.